If a bag was to be personified it definitely would be in the context of a fashionista. We are sure you can’t stop agreeing to the fact that sometimes bags have a mind of their own. They can either make our day or just let us down on the other days. Just for a day, we suggest why not ride on the back seat, you can be dressed like plain Jane and let the bag have all the lime light. Just a dash of floral bliss is what we are talking about here. 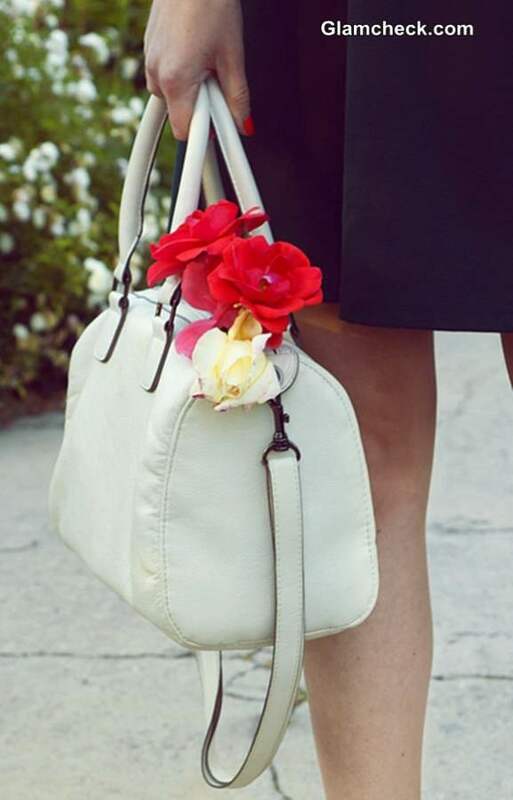 Instead of carrying them (the flowers we mean) in your hands, why not have them pop out of your bag. Just about three-four flowers are enough, arrange them onto one side of your bag and fasten them using the bag’s zip. 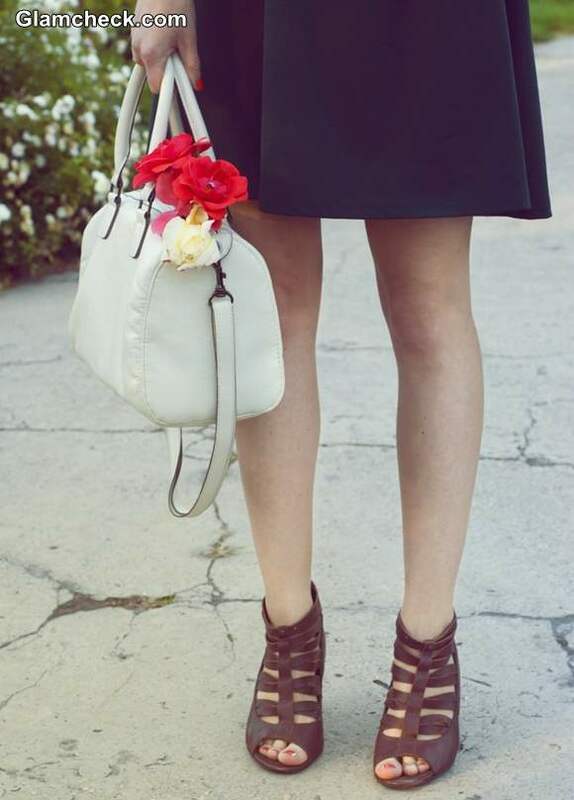 Make sure you use natural flowers as they will bring more liveliness to the bag. The white bag in the frame is decked up with red and yellow roses, with yellow in underplay and red doing the talking. Go ahead and try this style tip, who knows you get more number of head turns and glares than on your usual days.